Articles + Blog What Are Your Addictions? To view this article in a 3-minute video format, visit https://youtu.be/Zn75Lo3wfX4. Video run time 3:02. I recently attended a coach training/retreat in the Rocky Mountains. To prepare for a week of thin air at 8,700 feet above sea level, my instructors suggested reducing caffeine. So I decided, on the spot, to stop drinking coffee. 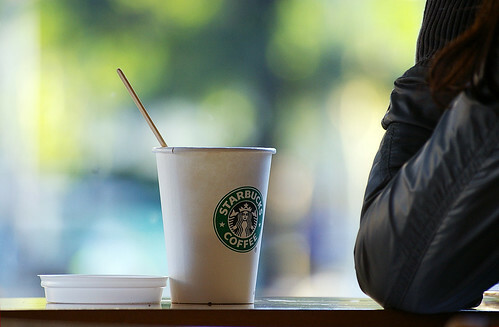 Four days later, after suffering an endless headache that I was sure signaled a world-class sinus infection, I sat next to a colleague with a steaming cup of Starbucks’ best and… it hit me. I was in caffeine withdrawal. That’s how addicted I’d become to coffee! And that addiction was invisible to me, until I tried to let it go. What else, I wondered, is driving my behavior (which is what addictions do)? A week later I was driving up a series of treacherous, ice-covered hairpin turns as I made my way across a mountain range at 12,000 feet. I knew that as soon as I crossed the pass, I was going to be off the grid (the technology grid, that is) for a week. Even as my knuckles turned white from fear of falling off the mountain, I noticed a different sort of anxiety screaming for attention. Off the grid. No email. No web browsing. No status updates. For a week. Yikes! “Omigosh,” I groaned in the moment. I’m addicted to email! Eating when you don’t need to eat. Obsessive email checking, instead of having conversation. Driving discussions beyond the point of resolution simply because you’re addicted to being right, or to having the last word. Taking class after class, reading book after book, but never having the time to apply and use any of the learning. Saying Yes to every request, even when you want to or should say No. These are just a few of thousands of examples of behaviors and thinking patterns that can get in the way of living a happier, less-stressed life. There’s nothing wrong with habits – many of your habits sustain you, and allow you to live your life without having to think constantly of the basics (like brushing your teeth, driving your car, dressing yourself, writing memos, interacting with others, etc). The question is, are you AWARE of your habits? And more importantly, when they don’t serve you, do you realize you have the choice to let them go? Do you have power over your addictions, or do they control you? Let it go for just one day or one week. Not forever – just long enough to notice what happens when you choose differently. What shows up in the space when you are not on autopilot? Happiness Principle #9 says, “Pay Attention.” So, pay attention to something in a different way, and you’ll open up new territory for happiness, joy, and satisfaction.